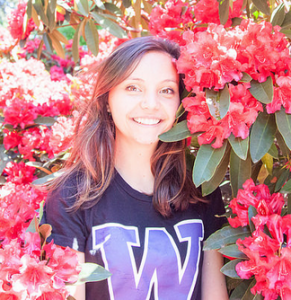 Natalie Lew is an undergraduate junior in the Honors Program at the University of Washington, studying both Interaction Design and Philosophy. In summer 2015, she worked as an intern on the mPOWEr team as an Interaction Designer, combining her passions for aesthetic understanding and information architecture. Natalie joined the team as a CoMotion Mary Gates Scholar in the hopes of designing creative solutions for healthcare-related problems. Passionate about entrepreneurship and interdisciplinary innovation, she is excited to work for a rising startup built on the premise of helping people. Outside of mPOWEr, during the school year, Natalie works on graphic design for TEDxUofW and is an on campus tour guide, and on ASUW’s Arts and Entertainment board as outreach coordinator and designer. In her free time, Natalie loves hiking, making berry pies, and reading Oliver Sacks books.